Antipsychotics are medications originally used for psychiatric disorders like schizophrenia or bipolar disorder, where a person’s thinking becomes disorganized or delusional. Like many medication classes, antipsychotics aren’t FDA-approved for any pain disorders. There are only a few case reports of a single patient’s experience. So antipsychotics are not primary medications for pain. 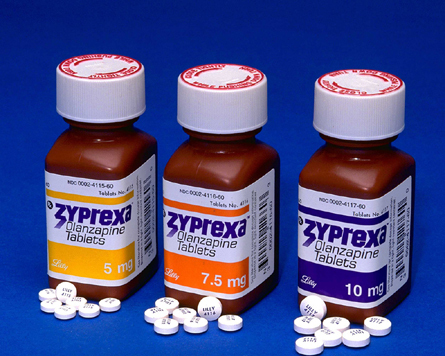 The only antipsychotic for which I could find any report of its use in pain is Zyprexa. Antipsychotics such as Zyprexa effect many neurotransmitter systems, including dopamine and serotonin, so it’s not clear where its pain-relieving effect comes from. As well, antipsychotics typically cause sedation, so some wonder if they help mainly through improving a patient’s sleep. In these case studies, Zyprexa had a positive effect when used for both neuropathic pain disorders and rheumatoid arthritis (RA), an inflammatory pain disorder. This is quite interesting, as these are 2 different types of pain disorders. A medication more commonly works in 1 type of pain only. For example, anti-inflammatory medication works in RA, but not neuropathic pain disorders, such as diabetic pain. While these medications may be worthwhile to study for their effect on pain, currently they should only be used when other more traditional medication has not worked.